My neighborhood really gets into Halloween decorations. Most of the houses have added decorations to their entrances responding to the festive nature of the season. One house, this year, has added a 12 foot dragon. 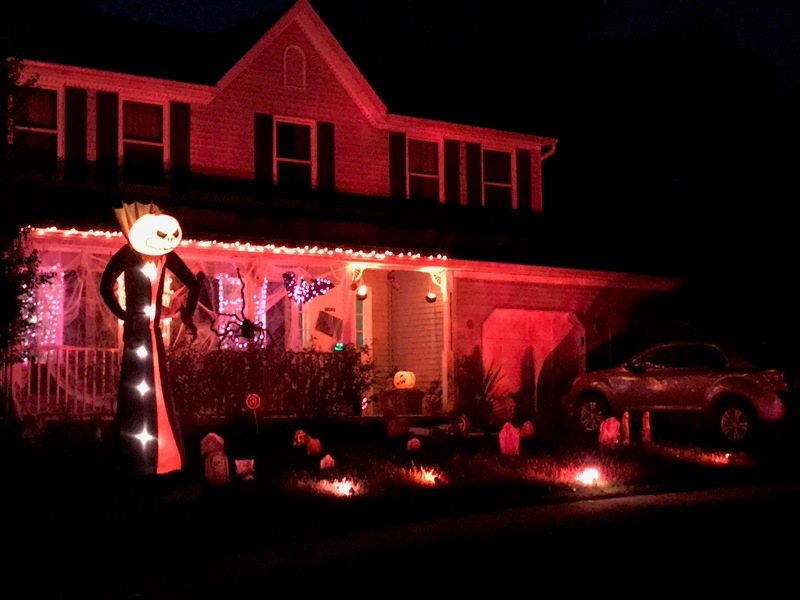 But the winning neighborhood home is two doors away--they have created an entire Halloween environment. It is pretty impressive. 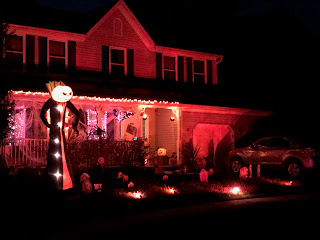 I am not a huge Halloween fan, but I do enjoy looking at the decorations. They become more creative and the inflatable decorations are a lot of fun to look at for their complexity and size. Happy Halloween. It is going to be cold!